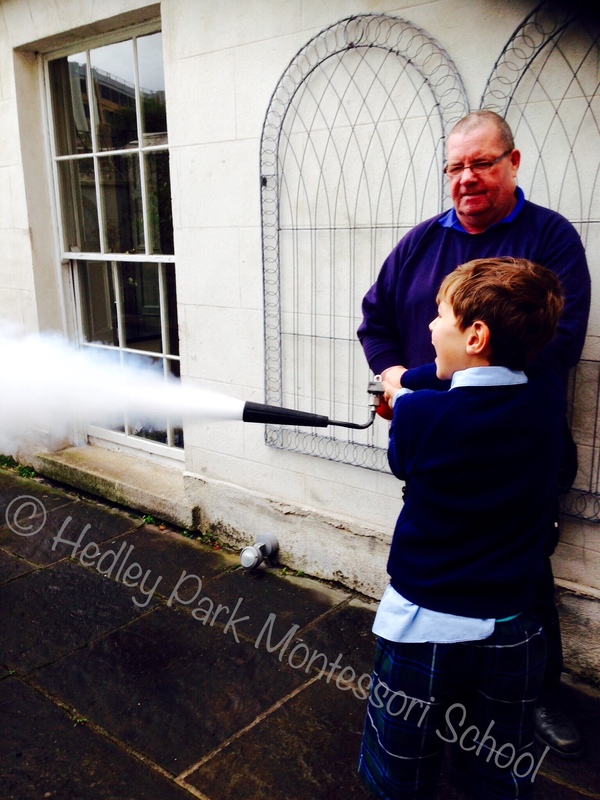 Spring Catchup: Open Day, Art Exhibition & Hatchlings. Spring term has flown by and we are almost into the Summer term! What an exciting and action packed time we’ve had. 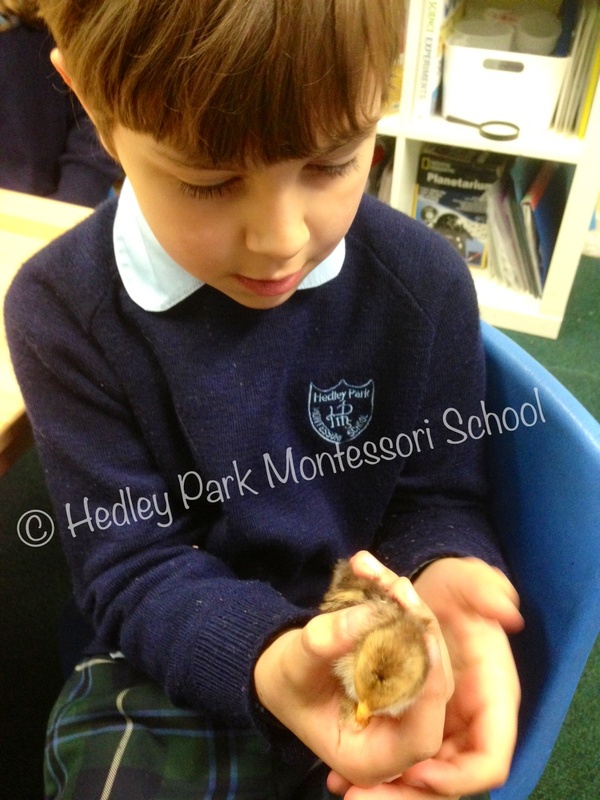 New arrivals, Lifecycles, Open Day, Art Exhibition, Lego Trip, so much learning, fun and friendship. Where to begin? We left you last with the news that we had received some eggs and a hatchery. We can tell you that we witnessed two chicks emerge from their shells and they were proudly named Niall and Zayn (there really was only “One Direction” we could go after that) it was fantastic to witness the chicks’ hatch and observe them get stronger day by day. 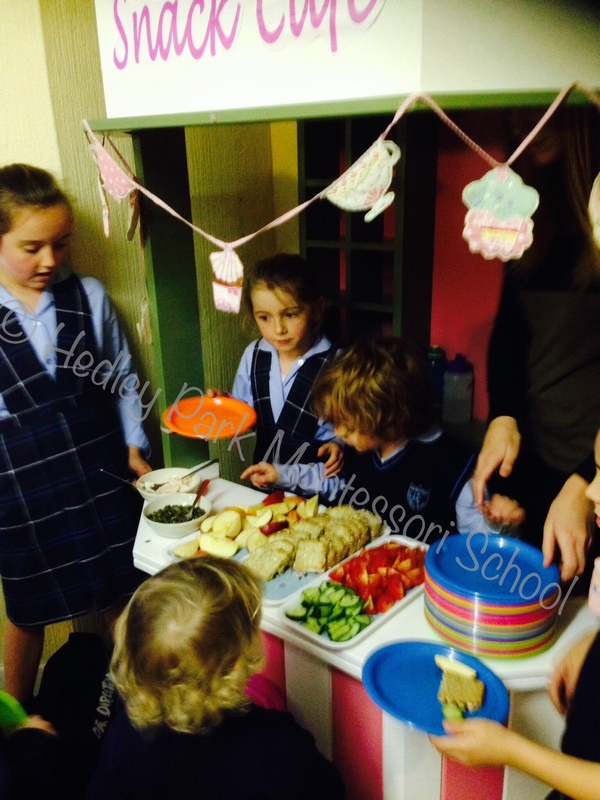 They seemed to enjoy their custom made home in our classroom. Once they were big enough they went back to join their flock but we really delighted in having them in the class with us and we all learned so much from their time with us. 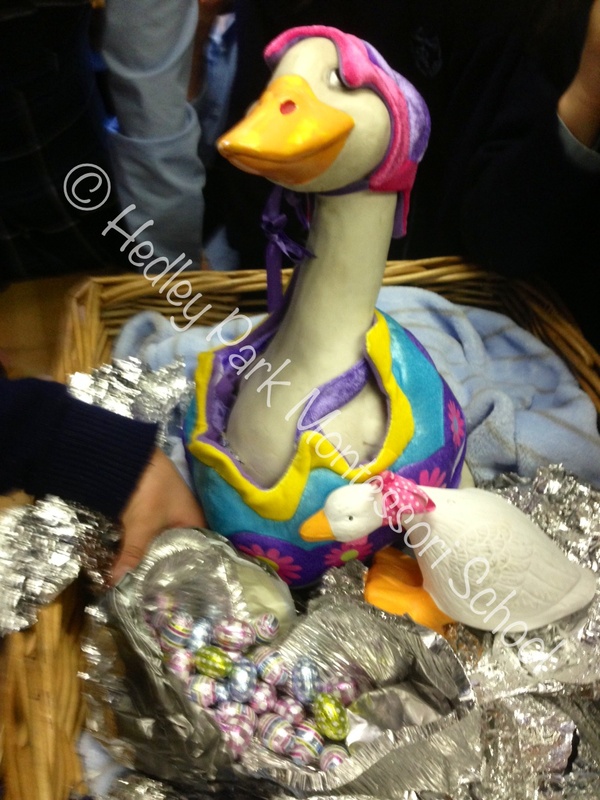 Another new arrival was from our school mascot Daisy Duck who found a little companion Diddle, hatched from an egg filled with little chocolate treats! What a lovely surprise for us all. The senior class had a wonderful trip to the Art of the Brick in the Ambassador. We love Lego, it is one of our favourite free play toys, it has so much to offer from design and imagination to cooperative play and cognitive skills Lego is one of the primary “go to” play resources. 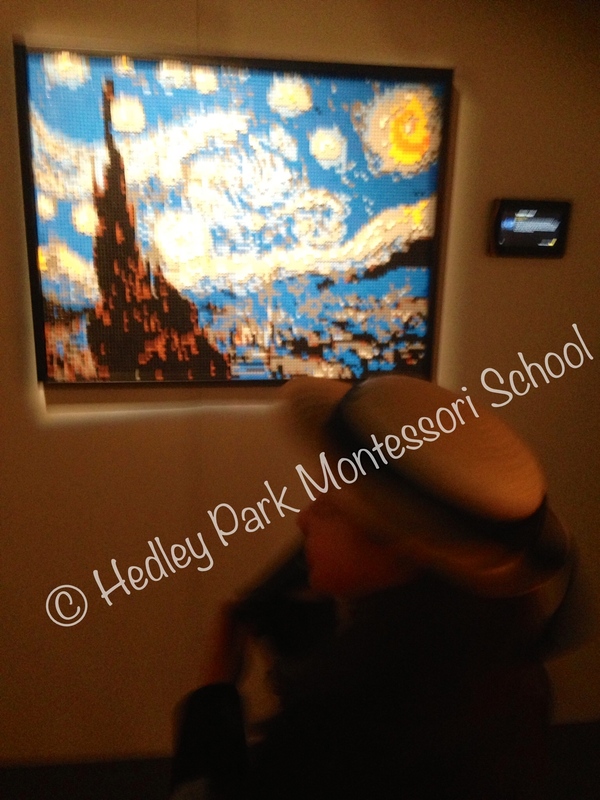 The exhibition featured many 3D models made from Lego and amazing artwork reproduced with the iconic plastic bricks. It gave us lots of inspiration to do something really amazing with our Lego bricks back at school. Speaking of art we were getting pretty creative ourselves. 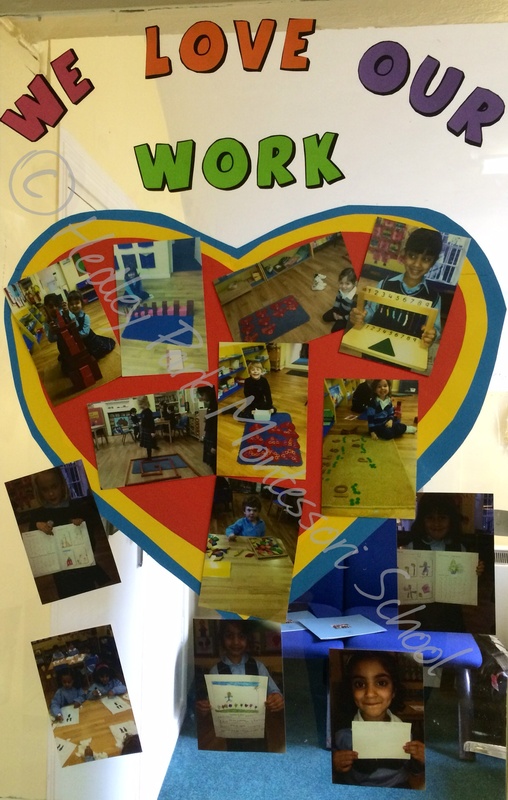 Working hard all month on canvas, each child had created a work of art of their own. Subjects, colour scheme, and media all chosen by the individual child we worked on our beautiful creations with the aim of an exhibition for our parent and family community to enjoy. 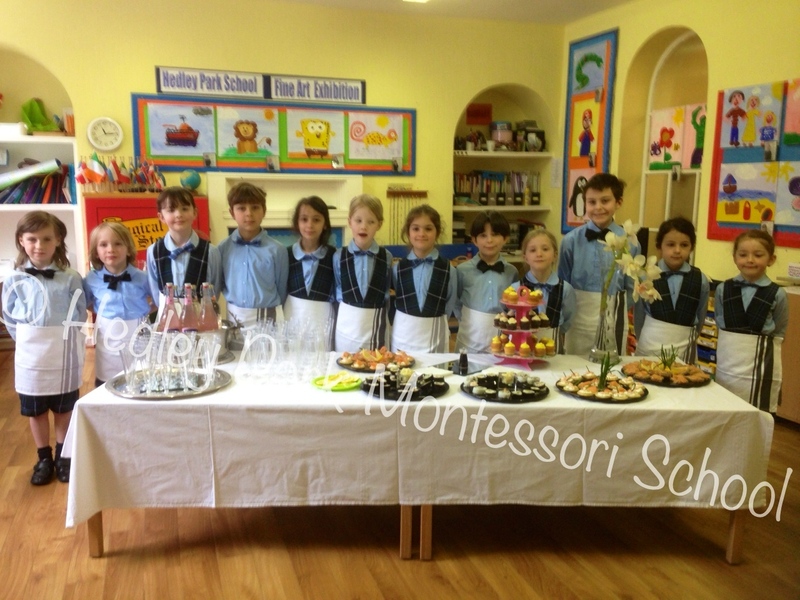 On the 16th April we were ready to receive our guests, with the senior class putting their years of grace and courtesy lessons to good use and took it upon themselves to act as silver service hosts of the event. Bedecked accordingly they circulated amongst the parents and friends offering canapés and drinks, ensuring a good time was had by all. The exhibition itself was a sell out and we raised €1300 for new equipment to further assist in our learning. 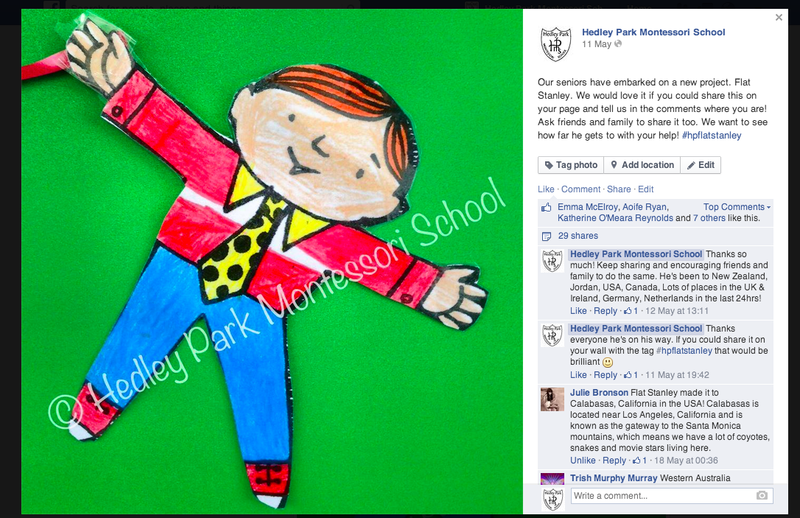 On the topic of interactions with the wider community, the senior class also embarked on one of our favourite projects, Flat Stanley! We have such a wonderful culturally diverse senior class it seemed to be the perfect way for everyone to share a little more of their background and family connections worldwide by sending Flat Stanley on his travels to report back to us all. 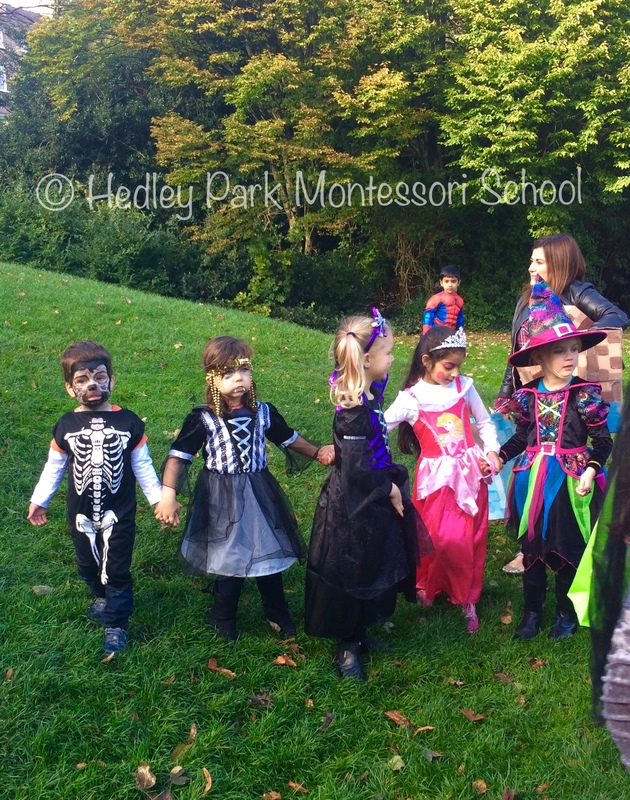 This year we had the happy coincidence of benefitting from some of our schoolmates that have left us to continue their studies in other countries and still keep in touch with their Hedley Park friends. 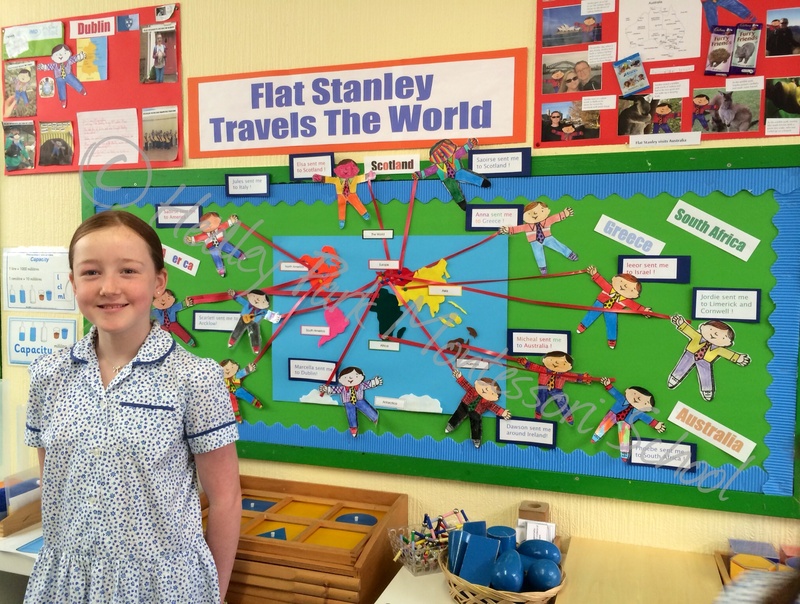 Flat Stanley, never one to be left behind the times also took some virtual travels as suggested by one of out teachers Aoife, and went on an internet tour of our wonderful Facebook followers. He was shared 30 times and visited New Zealand, Jordan, various cities in the USA & Canada, had a mini tour of the UK & Ireland, before heading to Germany & the Netherlands. Of course that wasn’t the only project on display at our Open Day, each year we think we’ve seen the most amazing projects and work from the children, who really relish creating wonderful and unique pieces to highlight their learning over the past month, but this Open Day the students surpassed all plans and came up with some really wonderful projects and pieces to show to the Hedley community. Starting with the youngest in our Reception class, it is here that the work is at its most concrete, the children love to work with the practical life an sensorial pieces, their shelves filled with wonderful activities to inspire and motivate them to work on elementary movements vital to later learning and expression. 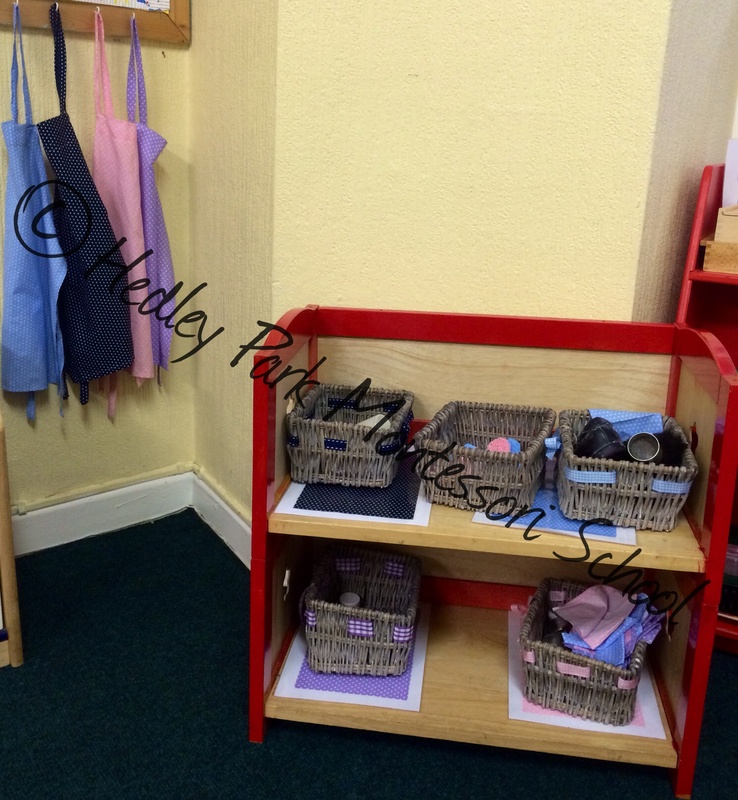 The polishing and folding work area has been expanded, young children love to be more involved in their own care, cleaning, folding, tidying and keeping things in their environment in order helps children to find their place and value in the group, whether at home or in school. 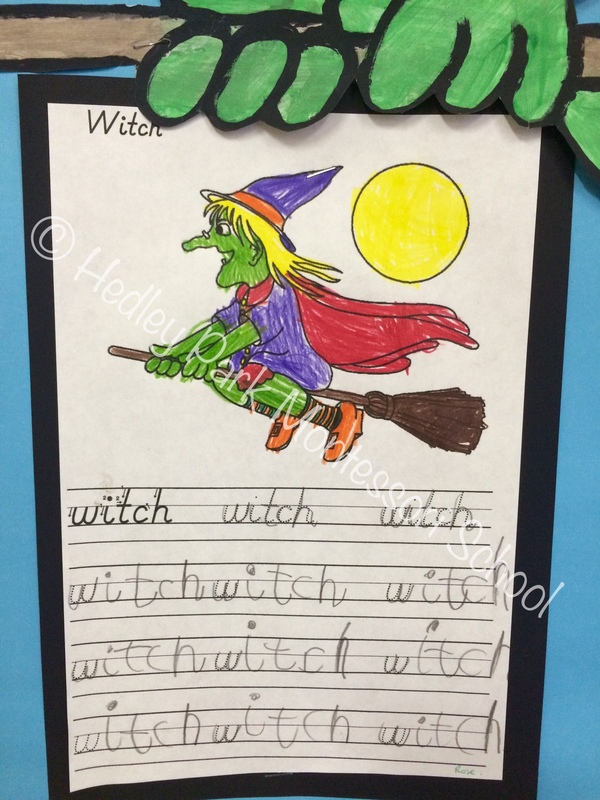 Reception Class: Polishing & Folding work. The skills learned in practical life activities assist the child to refine their movements and logic enabling them to successfully complete tasks around the home and class, thereby increasing the child’s self esteem and concentration. 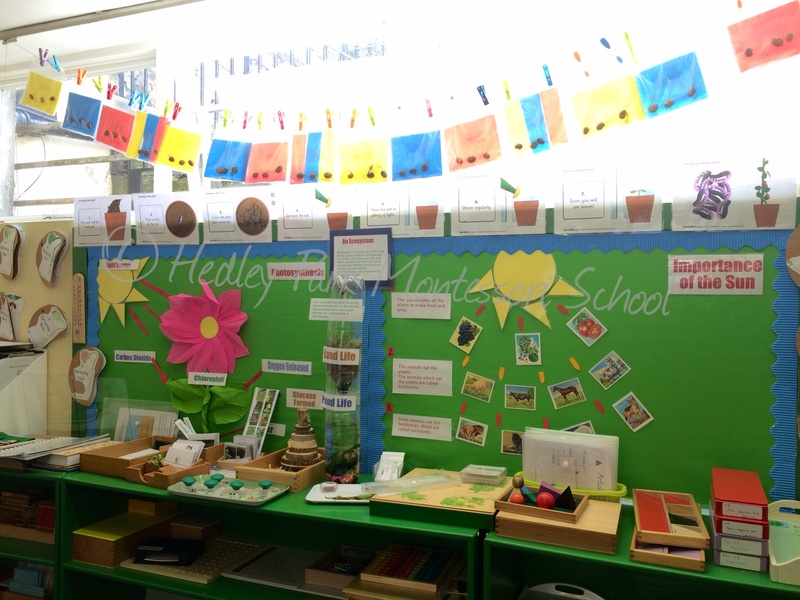 Role Play, another popular area in the classroom, is a fantastic tool for expression, the listening skills, the verbal reasoning, imagination and turn taking are all vital elements in building social skills and verbal capacity needed to make successful relationships. 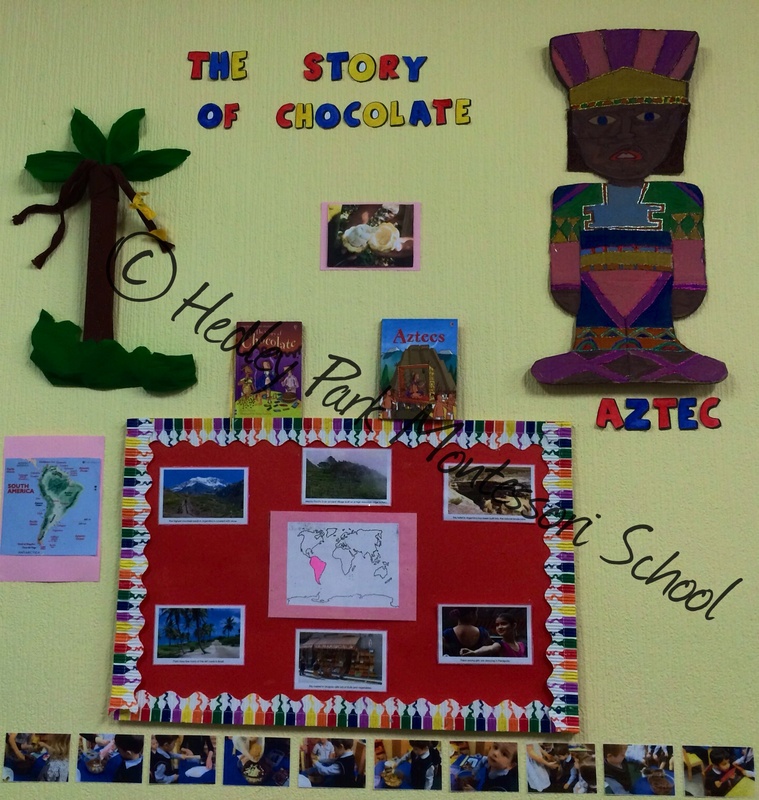 Our youngest learners also took on a study of the continent of South America, using their natural interest in chocolate (who doesn’t like chocolate) as a key to their learning, they found out about the continent and its people. Using pictures as discussion starters and stories of the animals, foods and people in the continent the children get a sense of the region that they will build on year upon year as they continue to study each continent in more detail as their interests change and grow. 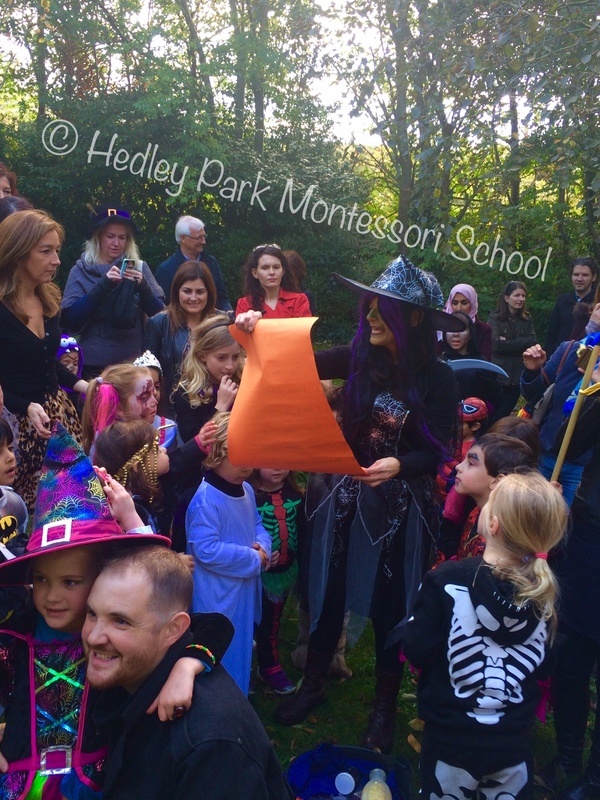 Identity and belonging are natural cornerstones of the Montessori approach, each child innately discovering their natural abilities and finding their space as equals in the group. 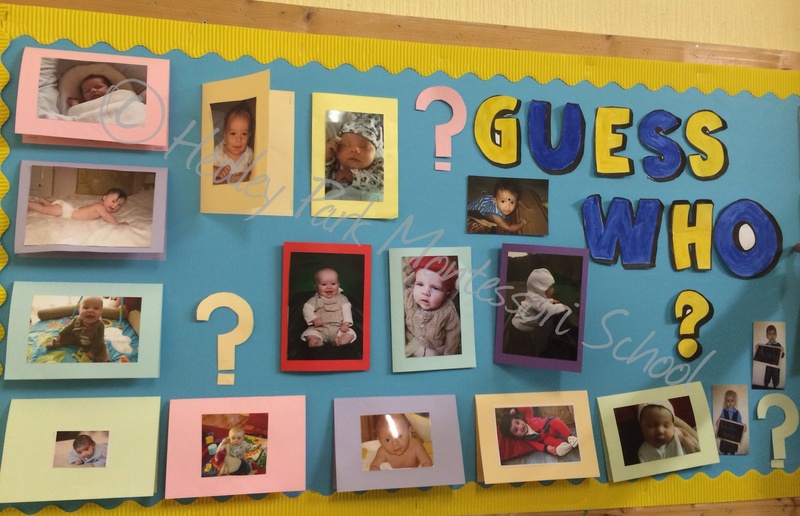 A wonderful activity for the children was on display, “Guess Who?” the children brought in a photo of themselves as new babies which they could discuss and figure out which picture matched which child. It gives the children an opportunity to discuss their families and histories with each other, bringing mementoes of their family into the school setting makes the daily transitions from home to school natural. The Junior class had their own transition project, “My week with Bunny” saw the children spend a week with the class mascot, recording the process with photos and writing on their display posters. 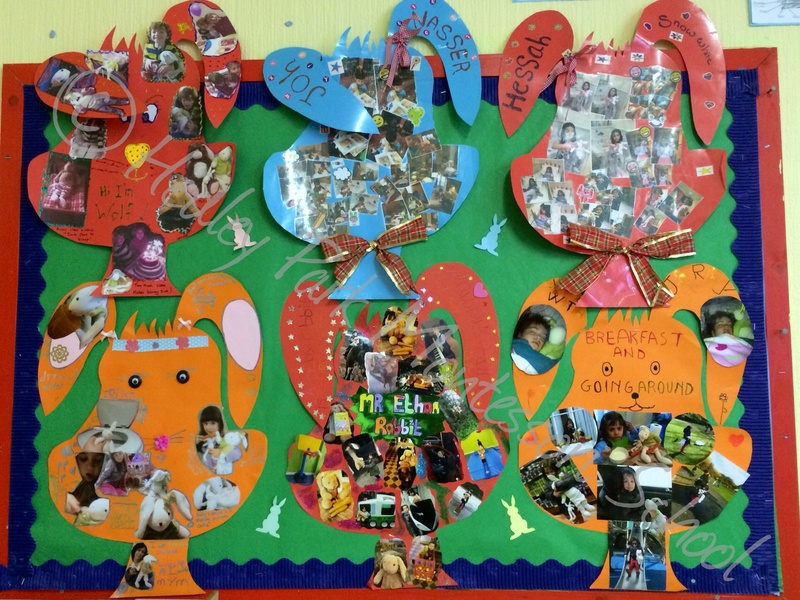 The children could then present the bunny posters to their classmates, sharing the story of their week and what happens in their family time through the activities of bunny’s visit. 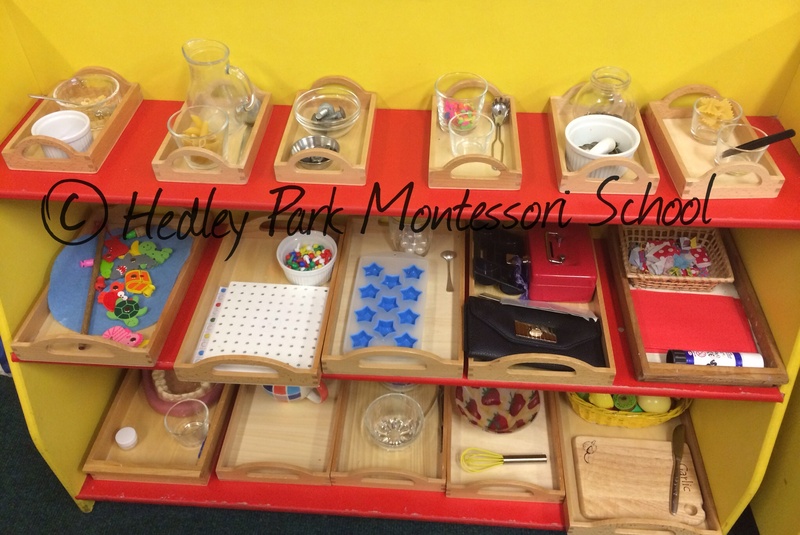 selection of Montessori materials they have at their disposal. They get immense pleasure from the concrete learning that comes from working with the materials. 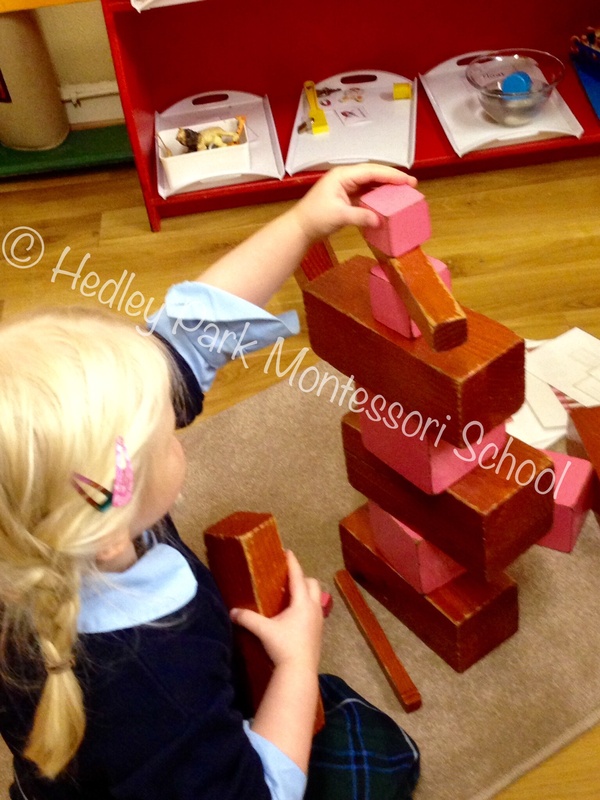 Practical life, sensorial, maths and language are all used daily, alongside the culture subjects of history and geography. The learning that comes from the materials can often be hard to explain to those who are not in the class to witness the concentration and skills building daily as there is no “product” at the end of the session, so our teachers Aoife & Sinead decided to record the junior class love of Montessori materials in a photo collage. Our most exciting project has been our Butterfly lifecycle, it has been fascinating to watch the evolution from larvae to caterpillars, cocoons to butterfly. 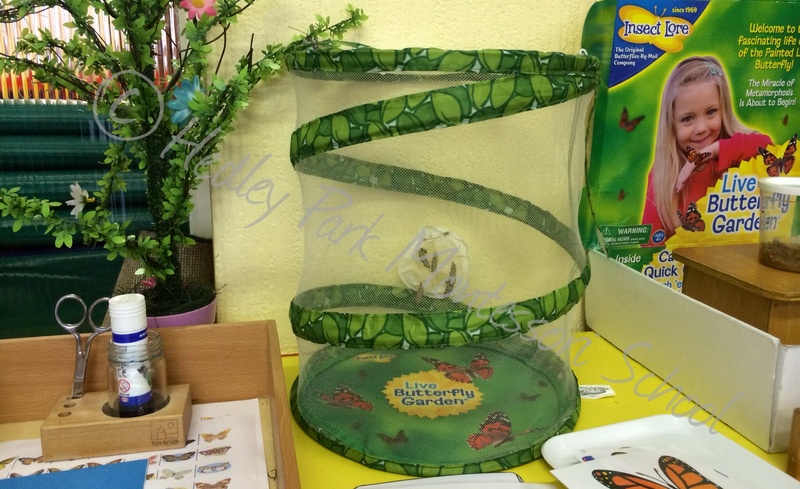 We have been so drawn to the mini beast area, so it has been an amazing experience to see the changes daily, as the caterpillars grow bigger, climbing to the top of the jar to begin their metamorphosis from cocoon to butterfly. A project, which combines science and history, observation and prediction, recording and wonder. We really have been so inspired. Not to be outdone the Seniors had a remarkable line up of learning achievements and outcomes on display. We discussed our Flat Stanley project earlier, but another major project combining some of what Montessori referred to as the Great Lessons. The importance of the Sun, and from it a study of the water cycle and the growth of plants and the delicate balances at work in our own ecosystem. This was an action research project, the learners in the senior class were inspired to reproduce a model of our ecosystem they discovered on their research. Using recycled lemonade bottles they built a perfect working example of how a natural ecosystem can be self-maintaining. Anyone visiting on the day was treated to a wonderful guided tour of the ecosystem and its operation. Thankfully we captured a later presentation of the same information to the children in the junior class. Enjoy! With so much done we will leave you now, but as the summer term beckons we know we will have much to report, tennis, sports days and school trips are all on the cards this term. Where will we get the energy! 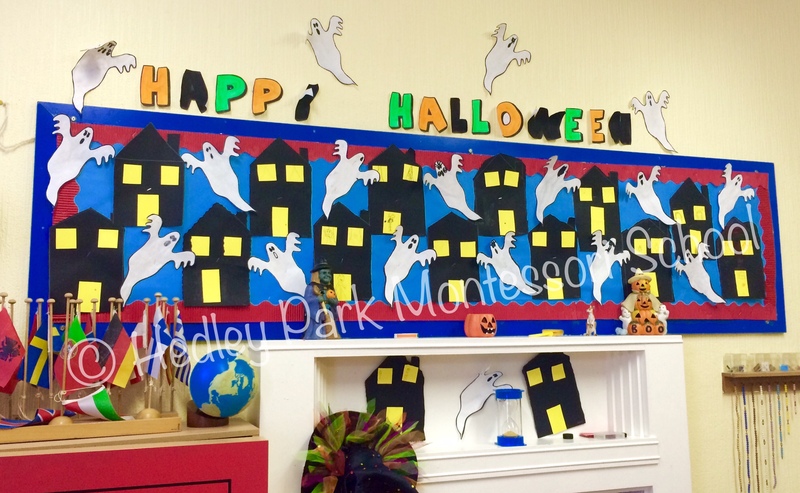 Here is our slideshow of images.